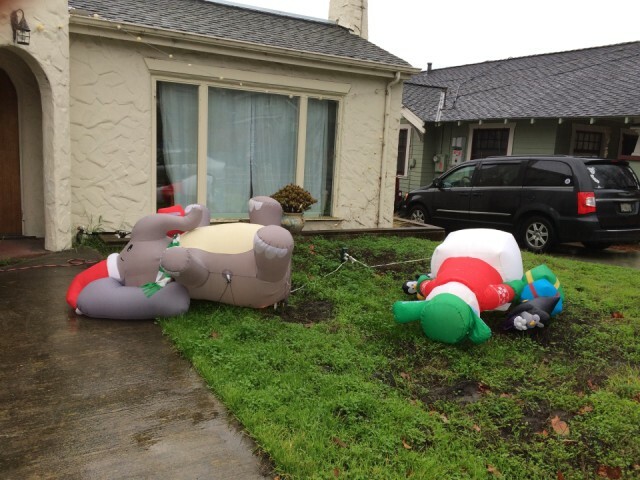 It was a rough night for Santa and Jack Frost. After a windy, rainy night, they were unable to get up the next morning without help. They will be OK.